The drama begins with a high school student named Park Soo-Ha, played by Lee Jong Suk, who has the ability to read people’s thoughts. In the pilot, he is searching for Jang Hye-sung, played by Lee Bo Young, who is an apathetic and jaded public defender. 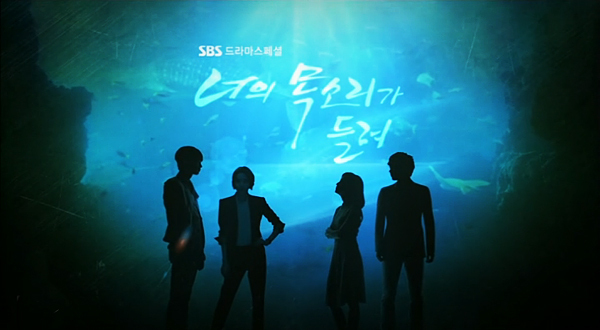 The audience learns how these two characters’ lives are intwined because of an incident that occurred 10 years prior, in which Hye-sung was a witness to the murder of Soo-Ha’s father. I won’t spoil the rest and I suggest you watch the drama to find out what happens. I think the storytelling is amazing because the story is sometimes told in a nonlinear narrative. I Hear Your Voice isn’t your typical courtroom drama as it also has a bit of fantasy/supernatural—whichever mind-reading would fall under, thriller, romance, and comedy. The romance in this drama does have the notorious love triangle element, but I think it’s well-thought out. The chemistry between Bo Young’s character and Jong Suk’s is beautiful and tender; I literally yelled “MY FEELS.” No shame. Though my favorite relationship is between Hye-sung and her mother because it, in some ways, reminds me of my relationship with my mother. I add comedy because there are some light-hearted humor, and I think it helps juxtapose the somberness of the overall drama. The main characters are all fantastic because they are very well-rounded and have backstories that were addressed throughout the drama. I have to give credit to the actors who play them of course because they helped me sympathize and relate with the characters, even the antagonist. 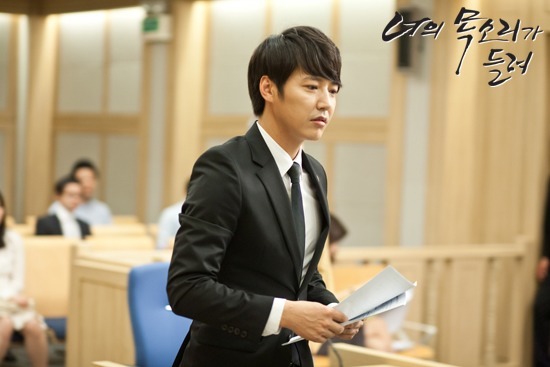 I would have to say my favorite character is Cha Gwan-woo, played by Yoon Sang-hyun, because you first see him as a very goofy and idealistic public defender who you think may not be good at his job. You quickly learn that Gwan-woo is very intelligent and tries to empathize with his clients, which helps him win many cases. Although the cast is heavily male, I like that this drama portrayed intelligent, strong-minded women such as Hye-sung and Seo Do-yeon (played by Lee Da-hee). Similar to Doctor Stranger, there are terminology displayed on-screen to help viewers understand the jargon used. The music may sound a bit over-dramatic at times, but it reinforces the mood of the scenes by creating suspense. Plus, a few scores remind me of Ace Attorney Phoenix Wright. Objections, anyone? My one criticism would be the abrupt and awkward jump cuts. I found it weird when a scene is shot at one angle, abruptly jumps to a different angle, and then to another angle; it seemed choppy. Thankfully, they’re very rare and may not bother you. Overall, I definitely recommend this drama because I think you’ll be on the edge of your seat and will not be bored for a minute.